March 18, 2010: Note to Windows Vista or Windows 7 Users: There was a problem with the program asking for "inpainter.exe". This has been fixed! Let me know if there are any more problems. 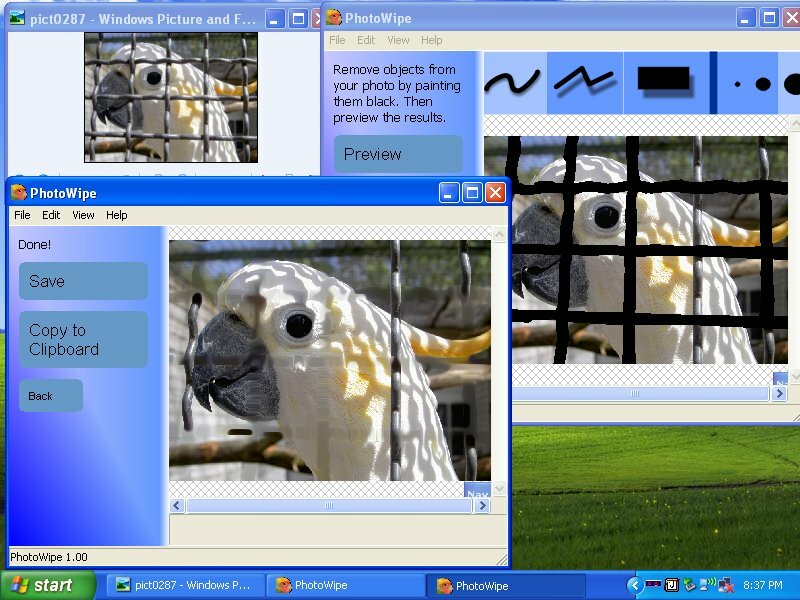 PhotoWipe is a revolutionary image processing tool that magically removes unwanted objects from your photos. Just paint over them in black, and click go! 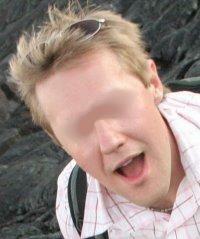 Uncovers hidden details in your photos. 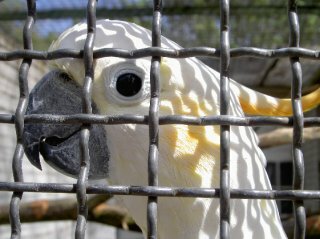 Sit back and watch as cage bars disappear from the zoo, and your old girlfriend or boyfriend fades away. It removes wrinkles, or it can remove entire facial features. 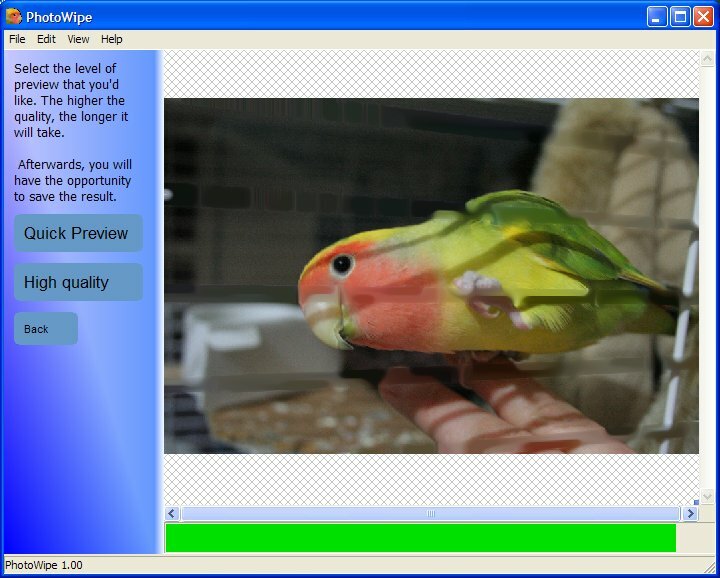 PhotoWipe uses a modified version of the greycstoration image processing library do its work. You can see more samples of this incredible tool here. 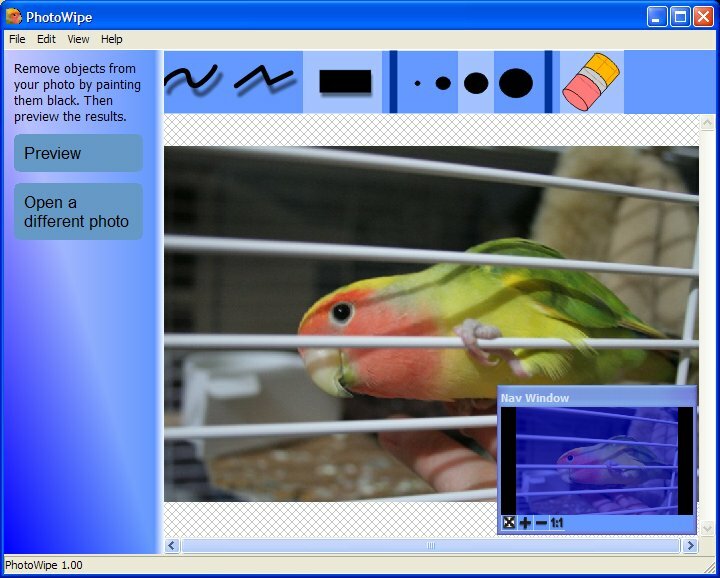 PhotoWipe is completely free. If you are able, I ask that you contribute whatever you feel it is worth. First, open the original image. To make it easy, you can drag an image from any folder and drop it into the PhotoWipe application. Next, paint the parts that you don't want black. 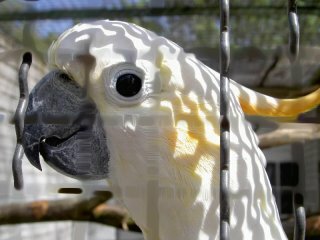 PhotoWipe works best when covering small, or long and thin portions of the photo. 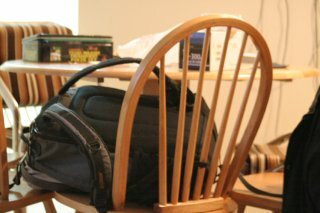 Otherwise, it is harder to guess what should be there. After you have done blacking out parts of the photo, you can preview the result. PhotoWipe can take several minutes to do its work, and you will be able to see what is going on the whole time. Presto, now you can save the finished product, or copy it to the clipboard. 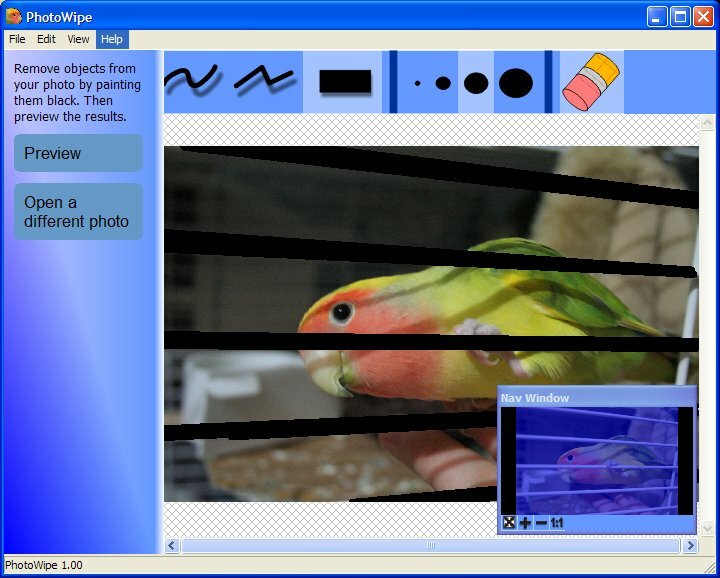 PhotoWipe uses a modified version of the greycstoration image processing library, which was created by David Tschumperlé. The library has been changed to be able to communicate with the main PhotoWipe program via shared memory and windows messages, which are must faster than temporary files. In compliance with with license agreement, you can download the source code here. This is a recorded list of all the bugs that have been discovered to date and the new versions which have been created to fix these problems.